Constructed with a powerful magnetic tip for easy one-person measurements. 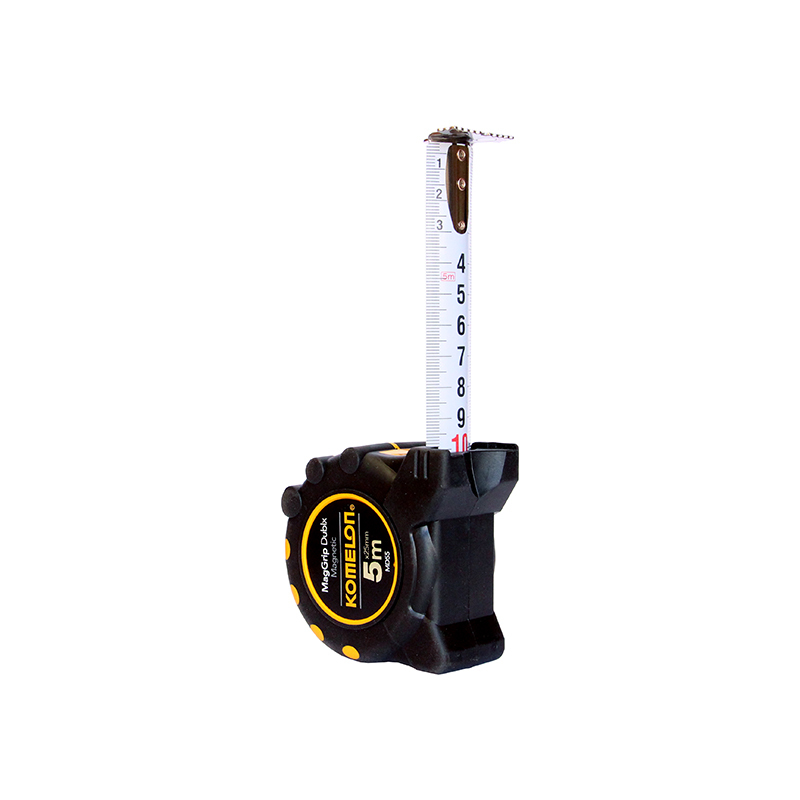 The Komelon 5m x 25mm MagGrip Dublx Magnetic Tape allows for easy one-person measurement. Magnetic tapes are the ideal measuring tool for electricians, plumbers, drywallers, framers, welders, HVAC installers, steam fitters and working environments with ferrous metals. 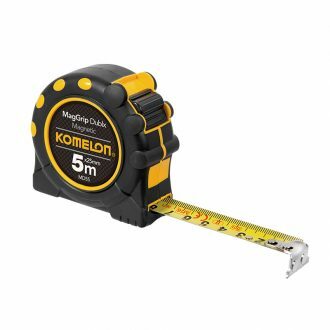 The Komelon 5m x 25mm MagGrip Dublx Magnetic Tape powerful magnetic tip firmly holds the tape measure in place on iron and steel surfaces. The magnet strength is enough to keep the end hook positioned horizontally or hanging vertically. Also available in 8m x 25mm.